Amal is a big time player on the international landscape and has represented some very big names. 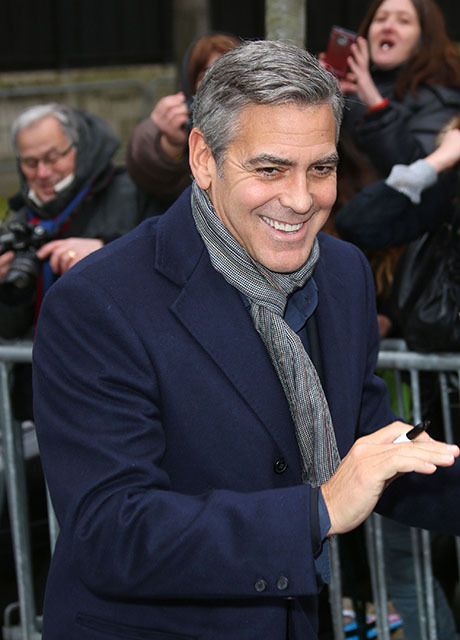 Do you think Clooney knows about the work his future bride-to-be has undergone and, if so, does it bother him? We know it doesn’t take much for Clooney to call off a relationship — so maybe this will be the straw that breaks the camel’s back. What do you make of this news? Will the George Clooney/ Amal Alamuddin engagement remain intact? SEE HER ENGAGEMENT RING HERE!